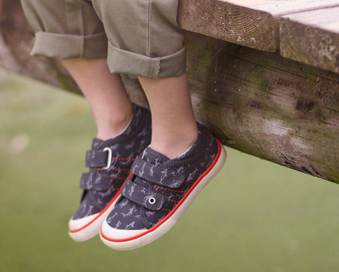 Clarks City Flarelo T, children's canvas shoes. The double velcro fastenings allow for easy on and off access, as well as a secure and adjustable fit, whilst the padded collar, tongue and insoles provide extra comfort and support, making this style ideal for everyday wear. Canvas uppers mean this style can be machine washed, helping to keep them looking newer for longer. 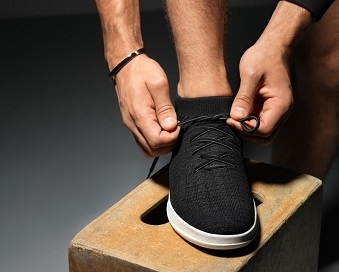 They also feature a toe bumper which help to protect against scuffs and scrapes.